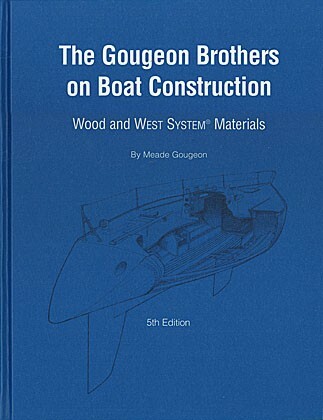 This is the 5th edition of this essential work in understanding wooden boat building. About 20% of the material is new, easily enough to justify buying this edition even if you have an earlier edition. In fact if you have previous editions you will probably have found them so essential that you would not dream of waiting a minute to purchase this latest revision. The entire layout of the book has been revised. I know that I will carefully read every page of my copy. There's more information on a wide variety of wood and epoxy building methods, interior construction, use of reinforcing fibers and fabrics, fastenings bonding, etc. They note that they include some techniques for completeness that they would not use now themselves, feeling that other methods have proven better, but they are still included to show the complete range of methods and for "historical" value. They also point out that, while for efficiency more and more design clients are having the designers do lofting in the computer, the manual methods are still essential for understanding, a cross check, and to allow rapid development of anything the designer may have neglected to realize you would need lofting information on. Just as Chapelles "Boatbuilding" can be considered a substantial work in traditional wooden boat building and Stewards can be considered to provide needed perspective and additional information on specific materials and methods, this book goes into immense detail on various methods of combining wood and epoxy in boat building. As such it is difficult to believe that anyone would try to build modern wooden boats today without a copy of this work. It is immensely valuable and grew out of the experience of a company that started out building boats and became the worlds best known manufacturer of marine epoxy products and supporting tools and materials along the way. As such it is a work that requires the serious custom boatbuilders attention. To me one of the great advantages of this book is that after reading it you come away with a firm confidence that nowhere in here have these people acted as you so often see promoters doing. Here there is no hype, no hiding from potential concerns or problems, full disclosure of where they feel our knowledge today is limited, etc. As we all know this stands in dramatic contrast to many others in the marine industry. We are very fortunate that this book has forced the entire marine epoxy industry to be more forthcoming and indulge in less "hype". Those who have tried to hype their products and "snow" the industry have been significantly forced to change their tune by the sober, careful tone of the previous editions of this book. This new edition adds a good deal more information on fatigue testing and plenty of thoughtful insight on building to avoid problems. It is wonderful and rare to be able to have this much confidence in a boatbuilding book associated with a materials company. This revision has somewhat eliminated one of our very mild criticisms of the last edition of the book in that we felt it needed more on what we call sheathed strip construction and they call "sheathed composite construction". That is the form in which you build a strip planked shell and sheathe it inside and out with glass cloth and epoxy. While we still feel that the information is more limited than it should be in this area, and have little interest ourselves in fancy milled edges on strips which are discussed and advocated, they have included a lot more material on sheathed strip construction. In a work of this broad a scope perhaps this is all the space that they can devote to one method, even though it is slowly coming to dominate wood and epoxy boat building all over the world. We also note that their studies and tests have been used to provide specific solutions for particular boats but little in the way of general rules. In other words they might suggest a general method for building a wood and epoxy composite mast but they do not suggest rules to extend this knowledge to any such mast you might want to build. Having said the above, I must say that it is a somewhat unfair criticism. They are boatbuilders and developers of epoxy products, not naval architects. The development of scantlings rules and other structural formulas, rules of thumb, or tables is probably best left to those who have studied these matters for years. In fact the staff at Gougeon Brothers has been gracious enough to refer those inquiring about such things to our design firm, which is very flattering. Similarly we defer to them entirely on questions of how to use the epoxies themselves to best effect. With us recommending their products and books and them recommending ours, hopefully we are covering the publics needs in the area of modern wooden boat construction well.